DIVORCE CAN BE A PAINFUL PROCESS. WHAT’S IN THE BEST INTEREST OF A CHILD. WHEN IT COMES TO CHILD SUPPORT. In cases of divorce, the courts determine what is the best interest of a child. It’s important to have an experienced lawyer by your side to represent your interests in the process. After a divorce, determining how to pay for the children going forward is one of the primary issues facing couples. Our attorneys have extensive knowledge of Texas law regarding child support. Divorce can be a complicated and painful process. Our attorneys have extensive experience and will make the process as easy as possible and will be with you every step of the way. Let our attorneys help you start your new life today. The division of property in a divorce in Dallas is one of the more complex aspects of ending a marriage in Texas. Our attorneys are experienced in guiding clients through the division of property phase of a divorce. We devote special care and attention to each client's case. 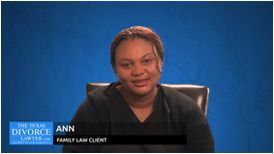 The following video testimonials are just a few examples of how our clients feel about their experience with our law firm. It’s your future and your family – don’t leave it up to a ‘do-it-yourself’ divorce kit. The Law Office of Julie Johnson is a family law firm that serves individuals and families in the Dallas area. Attorneys Julie Johnson and Robin Rubrecht Zegen provide a variety of family law services and solutions, from full divorce petitions to mediation. 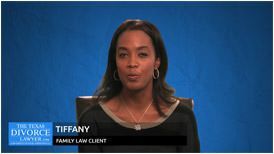 We uniquely tailor our services to what is best for you and your family at every stage of your family law case. 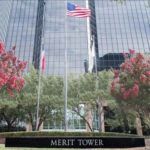 Many divorces require negotiations and might even end up in the Dallas family law courts to resolve matters concerning children, property, and spousal support. The Law Office of Julie Johnson PLLC helps clients with the following aspects of divorce cases. Ideally, a divorce would be quick and easy. Both sides would agree on every single aspect of child custody, child support, alimony, property division, etc. But this is not the case for many couples in Dallas. When a couple decides to divorce but do not see eye-to-eye on all matters, the divorce is contested. Even if the case starts out amicably and the couple pursues an uncontested divorce, if they at any point disagree on something, it becomes contested. We provide extensive legal support to help you through what might become a very difficult case. Our objective is to resolve the divorce with the least amount of conflict, but we do so while exercising your rights to the fullest extent. We make sure that you and your children get everything you deserve under Texas law. Even if you and your spouse agree to get divorced, you are on relatively good terms, and you both decide to pursue an uncontested divorce, there are still legal issues to which you must attend. In order for a divorce to be final, you do not need to appear before a judge, but you do need all the proper forms and documentation in hand and submitted. We offer affordable uncontested divorce packages for couples who wish to pursue this path. Texas child custody laws require that judges make custody decisions based on the best interests of the child. But both parents may have very different opinions about what the “best” interests are for their children, which often leads to argumentative child custody battles. Julie and Robin exercise our clients’ rights under Texas laws while also putting the child’s best interests at the forefront of our legal strategy. We also do what we can to reduce the stress and emotional turmoil that custody battles might bring. A sound legal strategy and effective representation can go a long way to putting you in a better place as you deal with all the changes in your life. We can even help you modify your custody agreement if you believe changes are warranted. We know that providing for your child’s future is a top priority. When we represent you, we make it a top priority for us too. We make sure that your child support payments are within the child support laws in Texas. If there is ever a problem with the other parent not making payments, we can help you exercise your rights to enforce the court order. Alternatively, if you are the parent making payments and wish to adjust the child support order after a job loss or other major event, we can help you make this request through the right legal channels. Texas’ community property laws dictate that all assets obtained during your marriage are community (shared) property. Anything you or your spouse owned prior to marriage is that person’s separate property and is not subject to division. Therefore, you and your spouse need to divide anything you purchased during your marriage – the house, cars, collectables, furniture – when negotiating a divorce settlement or if the case goes to court. This entails acquiring a full list of all assets – bank accounts, retirement accounts, real estate, etc. – and evaluating its value. We help you do this through careful investigation and by working with the appropriate experts to value your assets. We can then negotiate a settlement that is fair under Texas laws. Alimony is not a guaranteed part of a Texas divorce settlement. In order to obtain spousal support, you must meet certain requirements. The marriage must have lasted at least 10 years, and the spouse wishing to receive support must establish he or she cannot provide for his or her minimum reasonable needs. This is where legal strategy and good case building can make a difference. We work with clients wishing to receive support as well as clients whose spouse is asking for support. Whatever the case, we thoroughly review the details and prepare a strategy based on the facts of the case. The myth that fathers always get unfavorable treatment in custody battles is just that, a myth. The courts act in the child’s best interest, and in most cases, the court finds it is in the child’s best interests for the father to be an integral part of the child’s life. And if you can convince the court that it is in your child’s best interest for you to be the primary managing conservator, then it will grant it to you. If you are a father wishing to exercise your rights to child custody and visitation, work with the Law Office of Julie Johnson to build a detailed case to exercise your rights. Establishing paternity is one of the most important things you can do in order to secure your rights to visitation and/or custody of your child. Further, establishing paternity is important to mothers wishing to enforce child support laws. Paternity may be established in many ways, some easier than others. Let us help you whether you are a father or mother looking to establish paternity of your child. We will go over each option with you in detail so you know which is most appropriate for you. Not every family law case involves court appearances. In many cases, you can settle your case out of court, even if it is not exactly amicable. Collaborative law is one of the least disruptive, family-oriented answers to divorce that we offer. We connect you with a team of professionals such as family counselors and financial planners who guide you through reaching resolutions on the various aspects of your case. This method of divorce can minimize conflict and preserve privacy so your affairs are not discussed in a court room, but rather in the comfort of a private meeting. Mediation allows both parties in a divorce to sit down and negotiate the terms of their divorce. During mediation, a mediator acting as a neutral third party, facilitates negotiations to come to a mutually agreed upon decision for each part of the divorce, from child custody to spousal support. The mediator does not actually make any final decisions about the case. During mediation, you have the right to also have an attorney present, and doing so will be your best opportunity to fully protect your interests. Julie can serve as mediator in the case, or the Law Office of Julie Johnson can represent you during the mediation if another party is mediating. Arbitration is another alternative dispute resolution. The arbitrator acts as the family law “judge” and listens to both sides’ cases. Unlike a mediator, the arbitrator makes a final decision at the conclusion of the meeting. Julie is also a family law arbitrator. The Law Office of Julie Johnson can also provide you representation if another party is acting as arbitrator. We can help you protect your future with premarital legal documents, or even help grandparents protect their right to see their grandchildren after the parents’ divorce. Prenuptial agreements can help you protect your wealth and assets and ensure a fair settlement in the event of divorce. No one wants to think about having to protect themselves in the event their marriage ends. But it can be a practical decision that actually benefits both spouses. We help draft premarital agreements and also help you enforce the agreement in the event that your marriage is ending in divorce. A common law marriage, also known as an informal marriage, is one where there is no marriage license, but the couple meets one of the definitions of Texas common law marriage. Texas may interpret cohabitation, a mutually accepted agreement to be married, or representing to others that you are married as a common law marriage. If you meet the criteria and you decide to end your relationship, you must still make legal considerations when it comes to shared property or children. Let us help you exercise your rights. When parents divorce, careful consideration is given to upholding each parent’s rights to see his or her children. Unfortunately, grandparents do not automatically receive this consideration. Grandparents in Texas do not have an absolute right to visitation, which is why having a family law attorney is important in protecting your ability to visit your grandchildren. If a parent is blocking your ability to see your grandchildren or you simply want to preserve visitation with your grandchild, let the Law Office of Julie Johnson help you request visitation rights. What can a divorce attorney do for me that I can’t do on my own? When you try to file a divorce petition on your own, you are accountable for identifying assets and dividing property, negotiating alimony, and even figuring out the custody of your children. If you have a contested divorce, high-value property at stake, or a difficult custody situation, do not let your inexperience with the Texas divorce laws affect your case. You may only get one shot at a fair alimony agreement or a fair child visitation and custody arrangement. If you miss or compromise that opportunity, you could find yourself paying the price down the road. Instead of leaving your future to chance, save time and frustration by working with a Dallas divorce lawyer from the start. Your spouse likely has his or her own attorney to help get what he or she wants out of the divorce; you owe it to yourself to get the same representation and help. The Law Office of Julie Johnson will work for your best interests above all else. We take the time to get to know exactly what our clients want out of their divorce settlement and develop a plan to make it happen. Whether that means going to court for a contested divorce, or helping you and your spouse work out the details of the divorce through mediation, we do what it takes to get you the most favorable outcome possible. 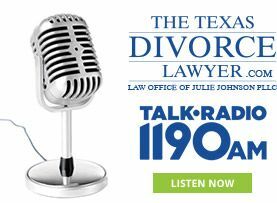 Empathy is key to a good relationship with your divorce attorney, and after more than 20 years of divorce practice in Dallas, Texas, Julie and Robin understand what you are going through. Each divorce and family law case we handle becomes a part of our lives as we get to know our clients and what matters most to their families. Having families of our own, we can understand how difficult these cases can be and strive to make the process as pain free as possible. Divorces can last months, and we know the longer it takes, the more stress and emotional damage it can do to a family just trying to move on with a new chapter in their lives. But we also know that it is vital not to rush into a bad settlement agreement. It is our goal to represent you efficiently while maximizing the support we provide you so you reach a satisfying resolution to your case. We understand that you may not have the time to meet on weekdays during business hours. That’s why we offer flexible meeting times that fit with your schedule, giving you time to be with your family when it matters most. The Law Office of Julie Johnson will take care of the paperwork and negotiations inherent in divorce cases. We hope this takes some burden off of you as you deal with other important matters. Even if you are already divorced and need help with amending existing child support, child custody, or spousal support agreements, you don’t need to do these things alone. Call us at 214-265-7630 or contact us online to learn how we can help you. Empathy is key to a good relationship with your divorce and family law attorney, and after more than 20 years of helping families our divorce and family law attorneys understand what you are going through. Divorces and family law cases can last months, and we know the longer it takes, the more stress and emotional damage it can do to a family just trying to move on with a new chapter in their lives. But we also know that it is vital not to rush into a bad settlement agreement. It is our goal to represent you efficiently while maximizing the support we provide you so you reach a satisfying resolution to your case. The Law Office of Julie Johnson will work for YOU above all else. We take the time to get to know exactly what our clients want out of their divorce settlement and develop a plan to make it happen. Whether that means going to court for a contested divorce, or helping you work out the details of the divorce through mediation, we do what it takes to get you the most favorable outcome possible. Start Your Divorce or Family Law Case with Us Now. The Law Office of Julie Johnson will take care of the paperwork and negotiations inherent in divorce and family law cases. We hope this takes some burden off of you as you deal with other important matters. Even if you are already divorced and need help with amending existing child support, child custody, or spousal support agreements, you don’t need to do these things alone. Call us at 214-265-7630 or contact us online to learn how we can help you. Very few events effect your life like a Divorce or a Custody Fight. 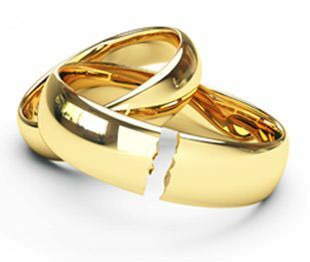 Divorce can affect your home, your property, your retirement and how you live your life after divorce. A Custody Fight can affect how and when you parent your children and make decisions for them. You have QUESTIONS and we have ANSWERS. What should I expect at the initial consultation? Can I get a divorce online? Does it matter who files for divorce? Do we have to litigate in court or can we have an uncontested/amicable divorce? What makes a divorce “contested”? How will the court decide who the children live with? Is it true that all our property will be divided equally? Should I stay in our home after filing for divorce? Does my spouse have to pay my attorney fees? What if my spouse retaliates because I file for divorce? Although divorces do not require you to hire an attorney, if you choose to represent yourself you are held to the same standard as an attorney when it comes to knowledge of the law and procedures in the court room. All divorces require at least one final hearing, maybe more, depending on the issues. You have to get it right the first time. There are many pitfalls in the negotiations and drafting of the decree. If you do not properly transfer title or provide for an enforceable parenting plan you may be stuck with a result that cannot be remedied. 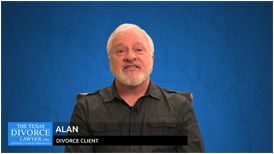 To learn more about the process of filing for divorce click here. What should I expect during the Initial Consultation? The initial consultation provides a time when the attorney can learn more about your situation and goals and can answer questions you may have about the process, likely results, your rights during the case and likely cost of your case. If you decide to hire the attorney your consultation fee is credited toward the cost of your case. To see a list of documents you might bring to the consultation and questions frequently asked during the consultation click here. There is no such thing as an online divorce. Although you may see companies on the internet offering an online divorce these are simply generic packets that have some divorce forms in them. Beware, most of these companies offer forms that are not even accepted in Texas. All divorces are granted through the court system. To learn more click here. The simple answer is NO. If the marriage is over it is time to file for divorce. One spouse initiates the process by filing a Petition for Divorce requesting a divorce and the relief that spouse wants. The Petition for Divorce is then served on the second spouse. It is normal for the second spouse to then file a Response to that Petition for Divorce and a Counter-Petition for Divorce requesting the relief that spouse wants. There is no legal advantage to being the first or the second spouse. It makes no difference to the Court. If you file first then you do have the benefit of selecting the timing. If you are the one being served be aware that you have a limited time to answer. If you don’t, a default divorce will be granted against you. To learn more click here. Although all divorces are granted by a Court, they do not have to be a legal battle. There are Amicable Divorces, often referred to as Uncontested Divorces. Even if your case is not amicable in the beginning we have many ways to help you settle your case out of court. Only a small percentage of divorces require a protracted legal battle for resolution. To learn more click here. When one or both parties can’t agree on the above mentioned factors, the divorce is contested. To learn more click here. Ultimately, all child issues are decided based on what is in the “best interest of the child” not what is fair to the parents. There are many factors that determine who a child should live with. The presumption is that it is in the best interest of the children to have meaningful and continuing relationships with both parents. However, this presumption can be removed depending on the circumstances of the individual case. There are also several common custody schedules that are utilized. To learn more about custody and visitation click here. Texas has set guidelines of how much child support should be in a standard case. These guidelines are based on a percentage of the paying spouse’s income. There are circumstances though that can deviate from the guidelines support. To calculate child support using the guidelines you can use our Child Support Calculator. To learn more about factors that deviate from guidelines support click here. Is it true that all our property and debts will be divided equally? Not necessarily. There are a number of factors that determine the percentages used on assets and debts in a divorce. The law states that the debts and assets must be divided in a “just and right manner”. An experienced family law attorney can maximize your division of property to help you get the most out of your circumstances. To learn more click here. Spousal Support, called Spousal Maintenance, and Alimony are two types of money paid by one spouse to the other spouse monthly, either during or after a divorce. The main difference between the two is tax treatment. Spousal Maintenance may be ordered during the pendency of a divorce for a number of reasons. However, spousal maintenance can only be ordered post-divorce if the factors in the statute are met. How much will be paid is also determined by statute. To learn more click here. whether you can financially keep the house. It depends. It is within the discretion of the judge to have a spouse pay the attorney’s fees for the other spouse. It is not automatic. There are many reasons why a judge might order attorney’s fees paid such as wrongdoing or fault. The court can order the attorney’s fees to be paid from community property during the divorce. One or both of you may have acquired a pension, IRA, 403(b) or 401(k) account. These items, if determined to be community property, must be included in the division of property. There are special instruments used for dividing these types of property called Qualified Domestic Relations Orders, or QDROs. To learn more, click here. There are many outcomes that can occur. If the house is community property one spouse can buy the other spouse out of the house or the house can be sold and any equity split between the two spouses. To learn more click here. This is a common fear. In most counties there are “Standing Orders” that go into effect to protect the parties during the pendency of a divorce. Standing Orders are essentially everything a spouse knows they shouldn’t do during a divorce but many do anyway. The courts in most counties decided to enter Standing Orders in every divorce case when it is filed to eliminate a person’s need to go to court to get these orders. Although the standing orders do not protect against everything that can happen, they do protect a party from some of the most common things. To see if your county has standing orders click here. Contact Our Texas Divorce Lawyers Today! case and outline your legal options. Ultimately, all child issues are decided based on what is in the “best interest of the child” not what is fair to the parents. There are many factors that determine who a child should live with. The presumption is that it is in the best interest of the children to have meaningful and continuing relationships with both parents. However, this presumption can be removed if depending on the circumstances of the individual case. There are also several common custody schedules that are utilized. To learn more about custody and visitation click here. Spousal Support, called Spousal Maintenance, and Alimony (Both go to page on Spousal Maintenance/Alimony) are two types of money paid by one spouse to the other spouse monthly, either during or after a divorce. The main difference between the two is tax treatment (goes to page on Spousal Maintenance/Alimony). Spousal Maintenance may be ordered during the pendency of a divorce for a number of reasons. However, spousal maintenance can only be ordered post-divorce if the factors in the statute are met. How much will be paid is also determined by statute. To learn more click here. One or both of you may have acquired a pension, IRA, 403(b) or 401(k) account. These items, if determined to be community property, must be included in the division of property (goes to page on Division of Property). There are special instruments used for dividing these types of property called Qualified Domestic Relations Orders, or QDROs. There are many outcomes that can occur. If the house is community property (goes to page on Division of Property) one spouse can buy the other spouse out of the house or the house can be sold and any equity split between the two spouses. To learn more click here.